Cherry Casino – The Unplayables! Spin for a share of €1,000! Ever played on or even heard of What a Hoot! or Cashapillar? These are indeed slots any usual casino has in its portfolio but have not made it to the popularity of Starburst, Dead or Alive or Immortal Romance. 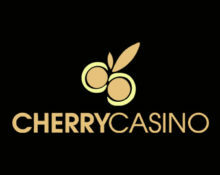 Hence, Cherry Casino has taken a selection of such slots, called them “The Unplayables” and put up a “Bet It and Win Race” with a €1,000 prize pool shared by those wagering on them throughout the three days. The more a player wagers the higher the percentage of the prize pool will be going his way. On top Cherry Casino will reward every player with 50 Free Spins for wagering minimum €100 on the promotional slots. Not spinning on “The Unplayables” at Cherry Casino? Then sign-up now, collect 20 Free Spins just for registering and up to 300 Free and Super Spins on your first three deposits. Take part in the “Bet It and Win Race” at Cherry Casino from 6th to 8th February 2017 to secure a share of the €1,000 prize pool. Each player wagering on the selected slots will receive a guaranteed percentage of the prize money as long as it exceeds €5. The percentage is calculated on the total amount wagered on those slots and will be credited on 9th February 2017 as a bonus with a 5x wagering requirement within 14 days. Cherry Casino bonus terms and conditions apply, read them carefully. Free Spin Extra Prize: Everyone wagering minimum €100 on the eligible games will receive 50 Free Spins on Joker Pro, when this new slot from Netent is released on 9th February 2017.